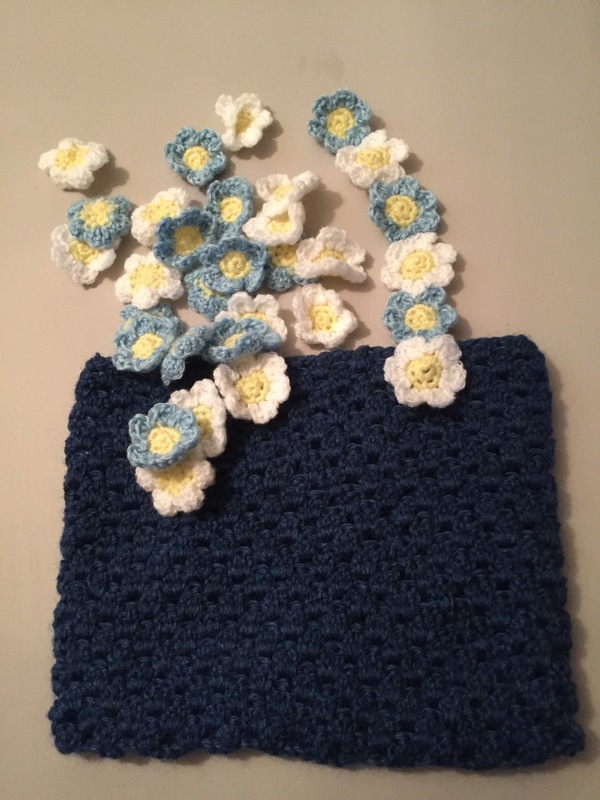 I used a shell stitch throughout to create the pattern of the main body of the bag. 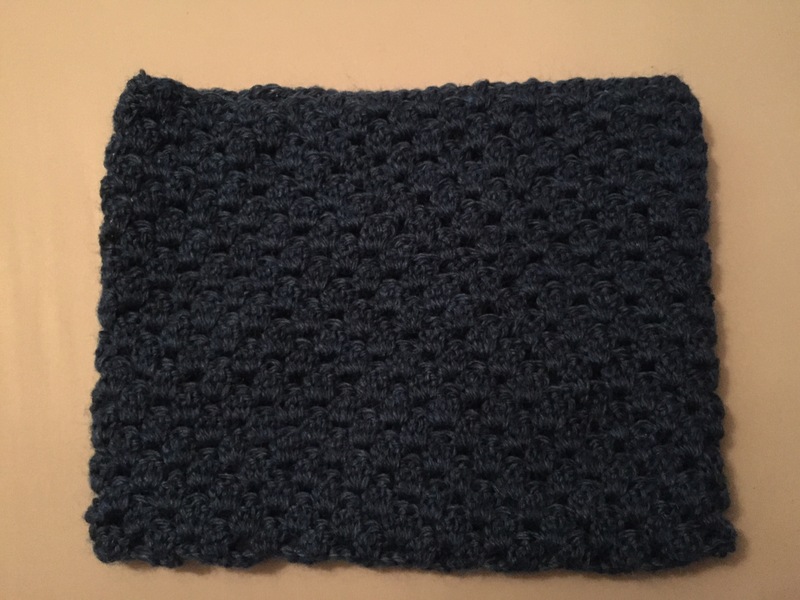 The shell stitch is done by crocheting three double (treble) crochets into one stitch or gap and then skipping two stitches. I made these two birthday cards for friends. How do you like them? 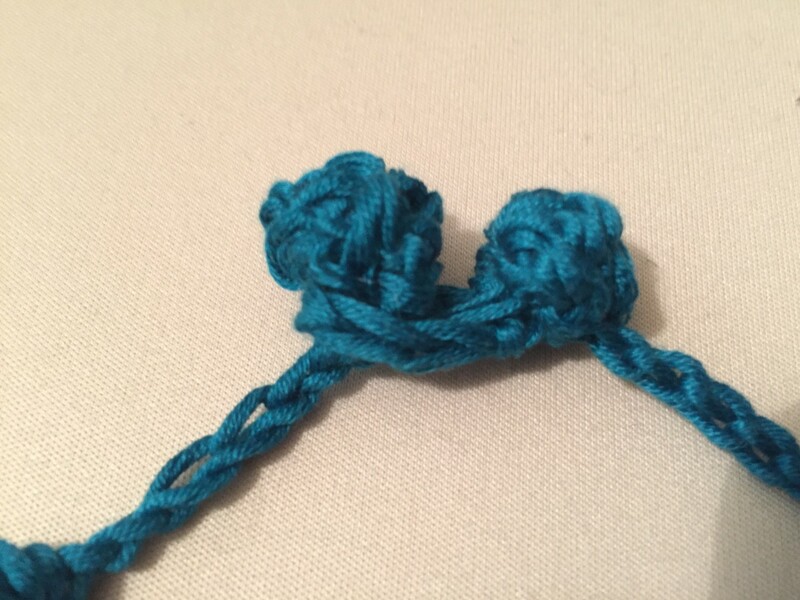 This quick little bobble necklace is the product of the last Hook Club. 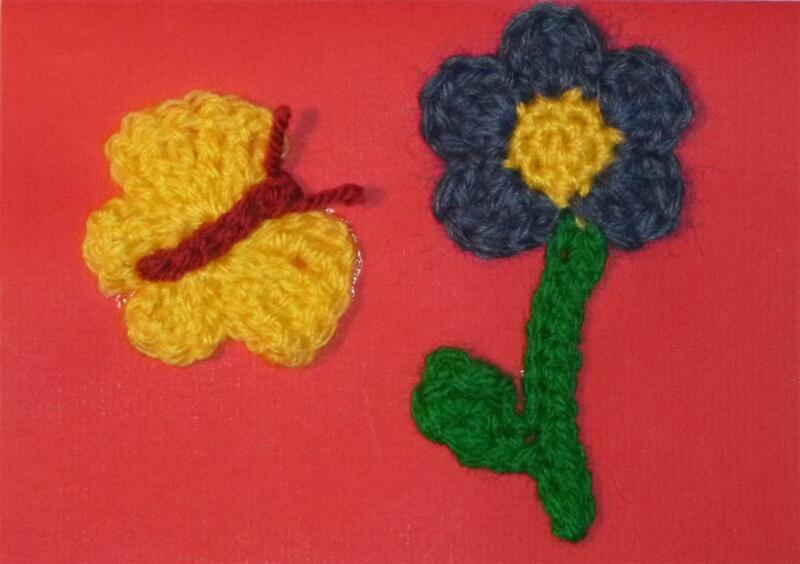 It was a little fiddly but great fun to make these. 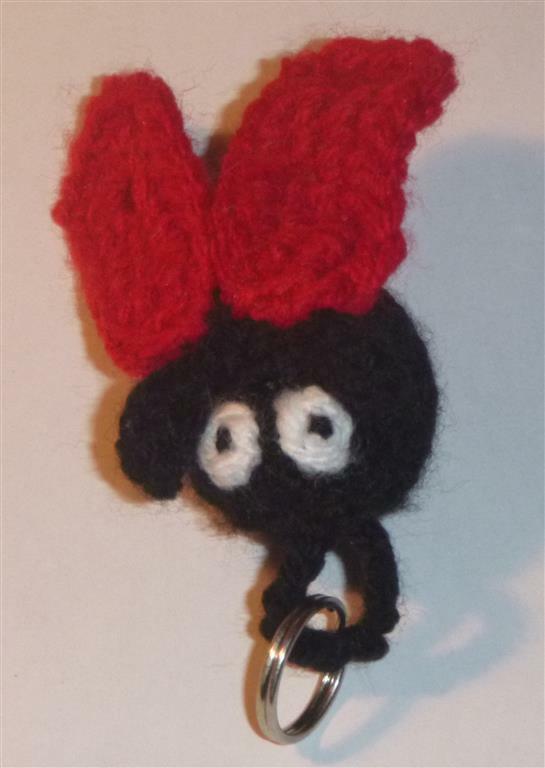 So fun in fact that I made another one just like it for my friend shortly after. 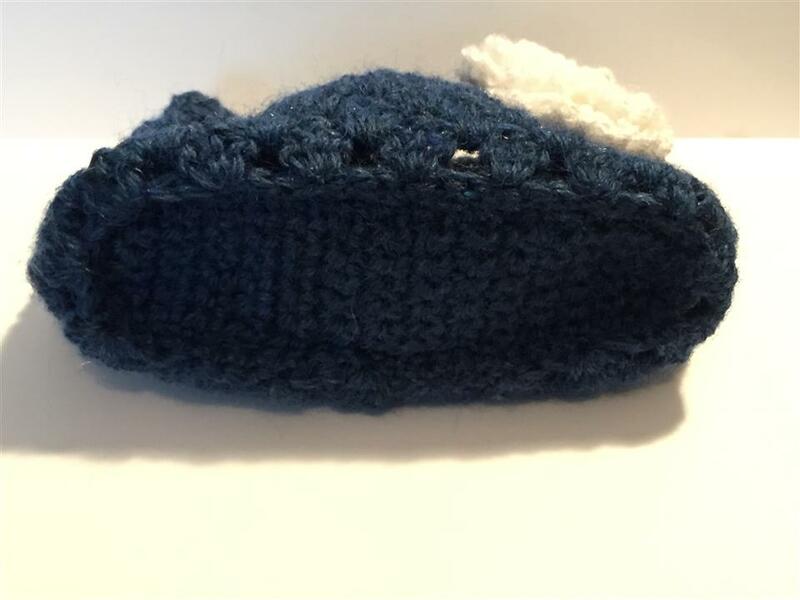 The pattern is free from Lion Brand Yarn and is very straight forward and easy once you get the hang of it. 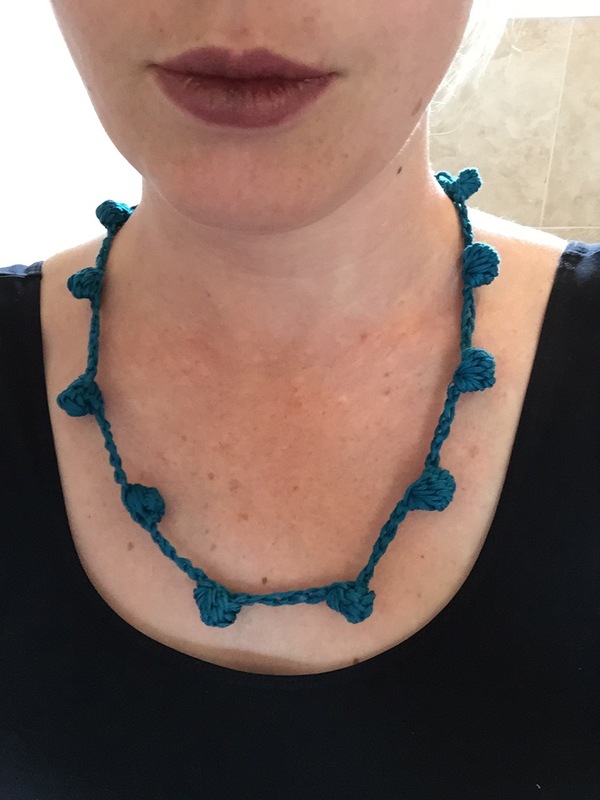 It’s certainly a great option for a little present and the choice of yarn determines how smart or casual the necklace will look. It would also be nice to make a longer one and wear it in several layers or maybe to have a shorter, bracelet version to match the necklace. I love the pattern. It’s so cute and works up really quickly and easily. 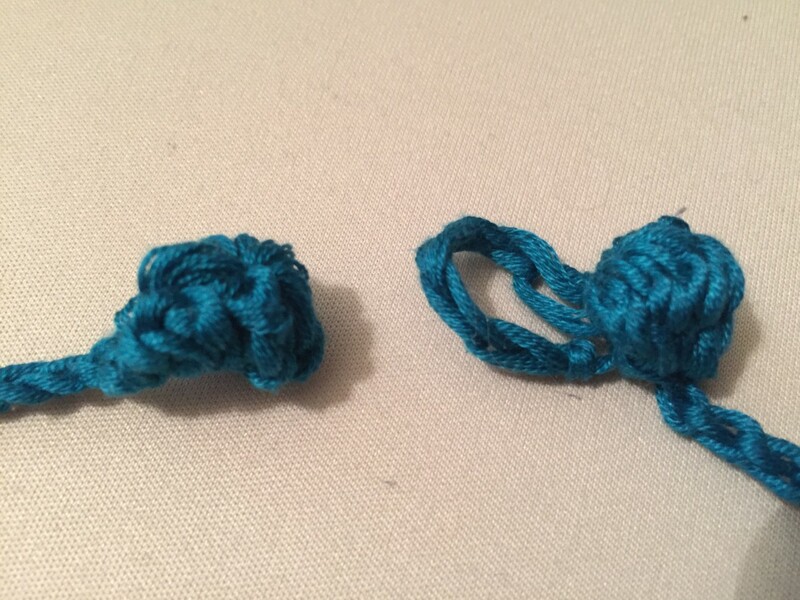 I made only one change to the pattern. Instead of sewing up the bottom of the bag I inserted a flat bottom. Now turn the bag inside out and sew the bottom in. Turn the bag back and you have a nice smooth finish. 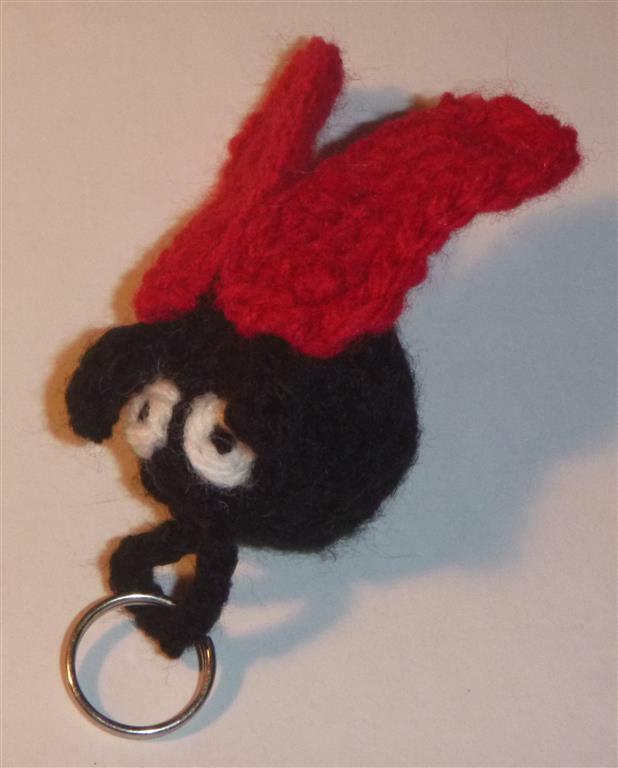 I made this little key ring as a birthday present for a friend. 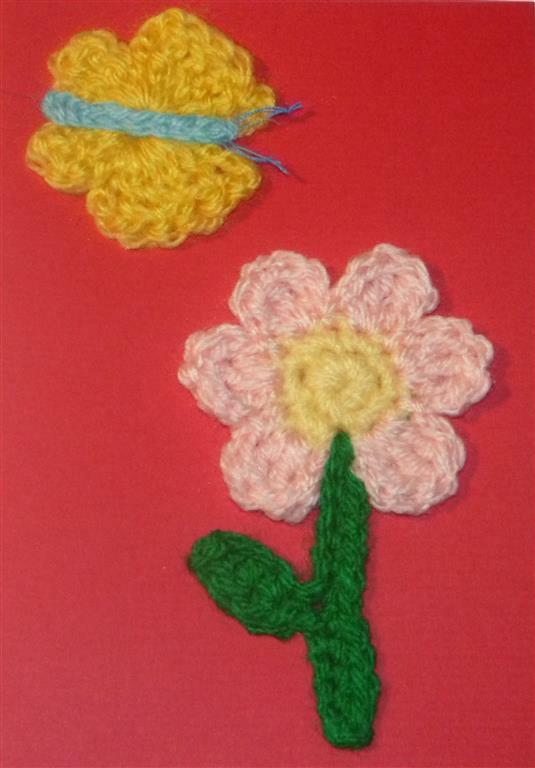 The pattern came from a book call “100 Kleine Häkelfiguren” (100 little crochet figures). 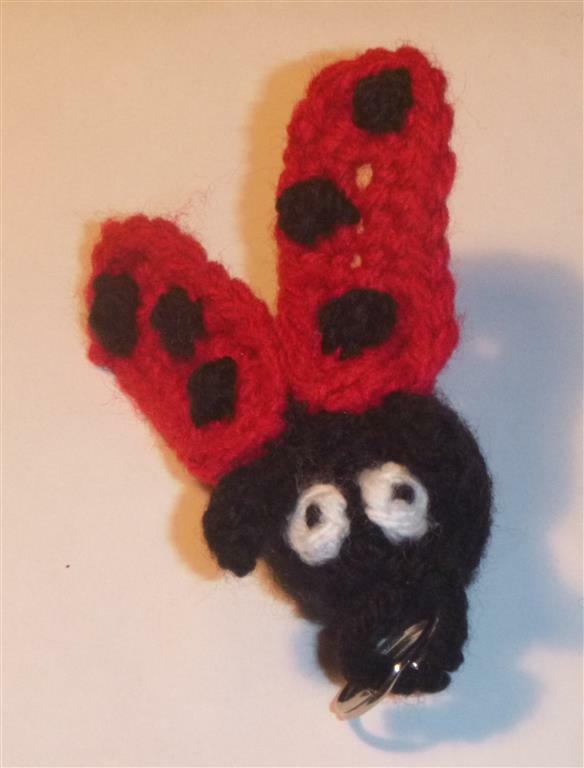 It is quite a small amigurumi which makes this little guy even cuter. 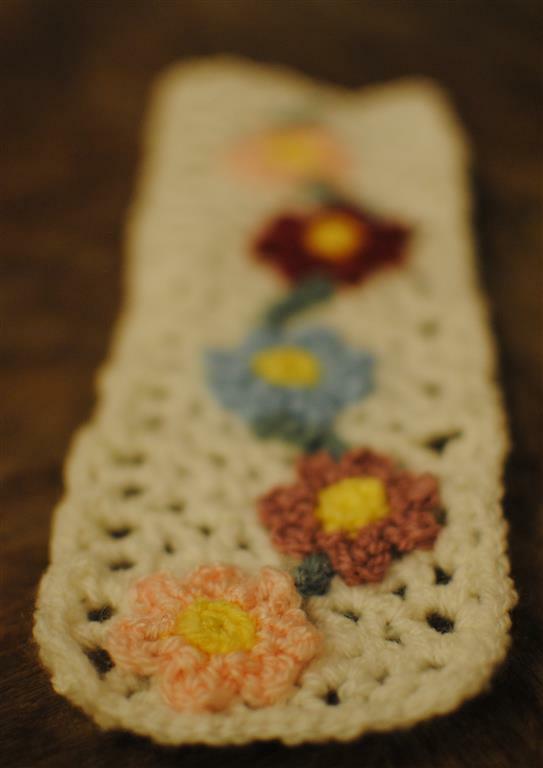 These flower bookmarks are based on a free pattern I found on Freepatterns.com. It was designed by Debra Woodard. 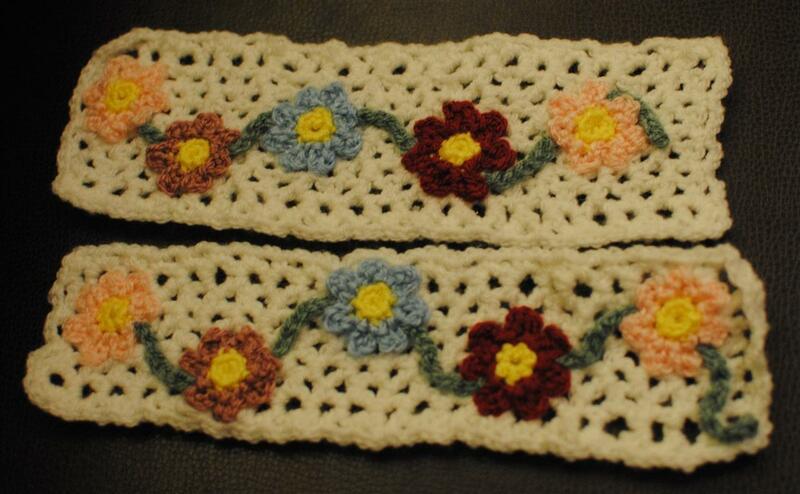 I love the pattern as it’s so delicate and flowery. 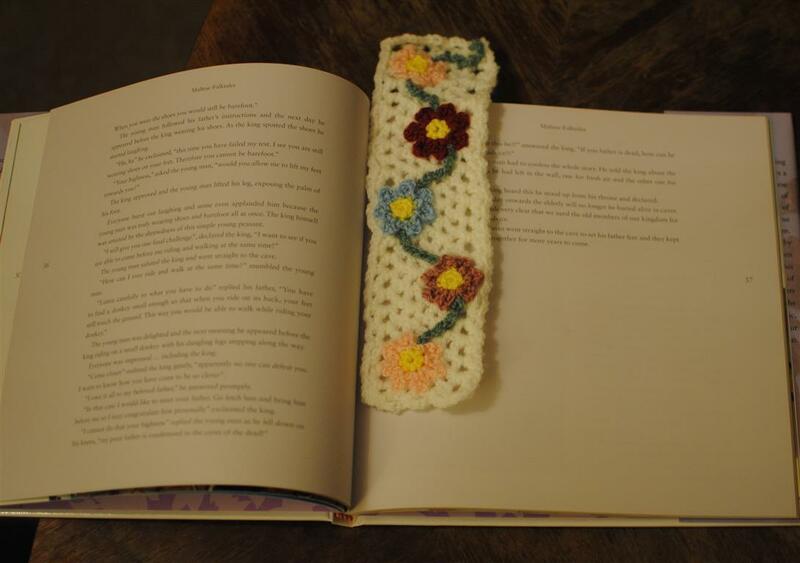 I only had to adjust the size of the bookmark a little as the original pattern was too big for my purpose. 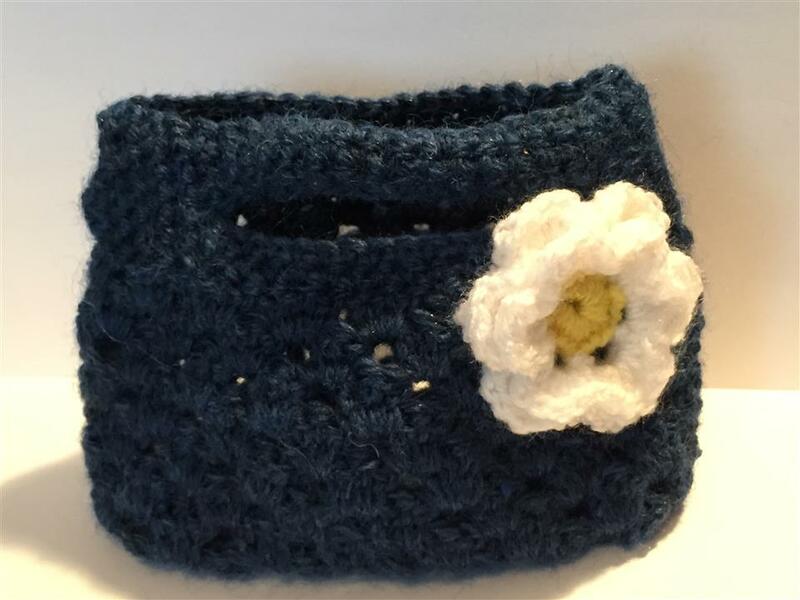 Adjusting the size is easily done though by adding or subtracting stiches or rows and fixing as many flowers as prettily fit. These two books marks made great little presents! 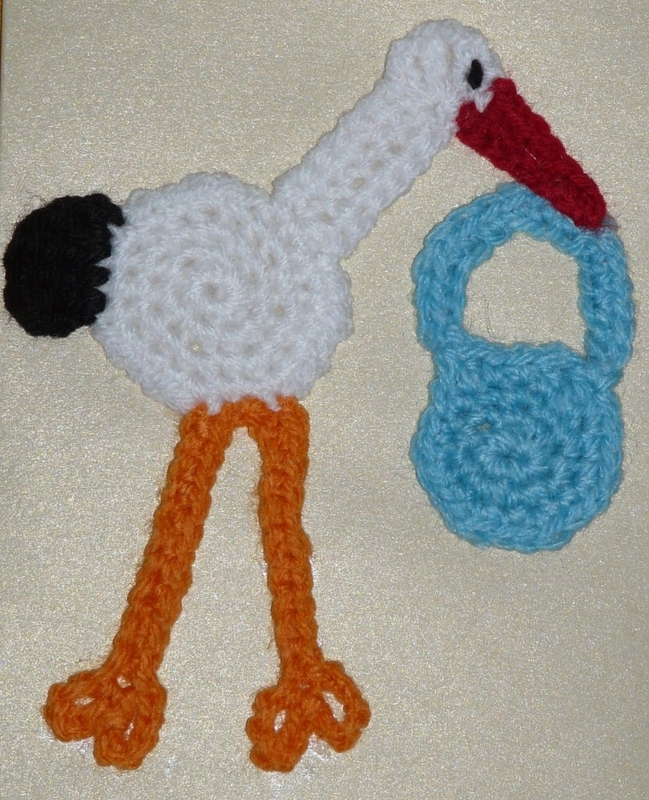 I made this stork baby card for a new little arrival, a sweet little baby boy, some years back. 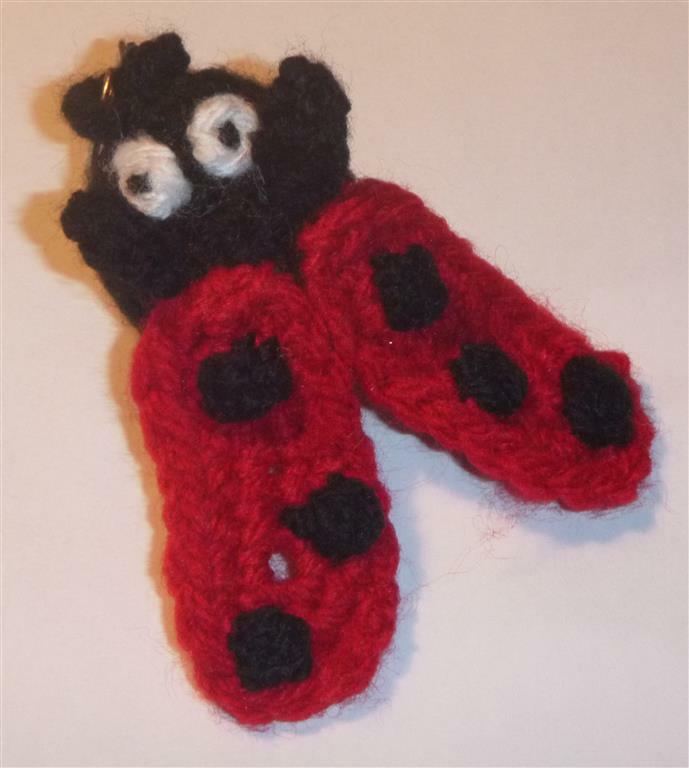 I made it up as I went along as I couldn’t find a pattern that suited me at the time. What do you think about it?